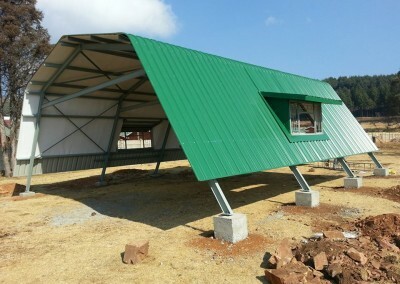 This photo shows what the finished product looks like. 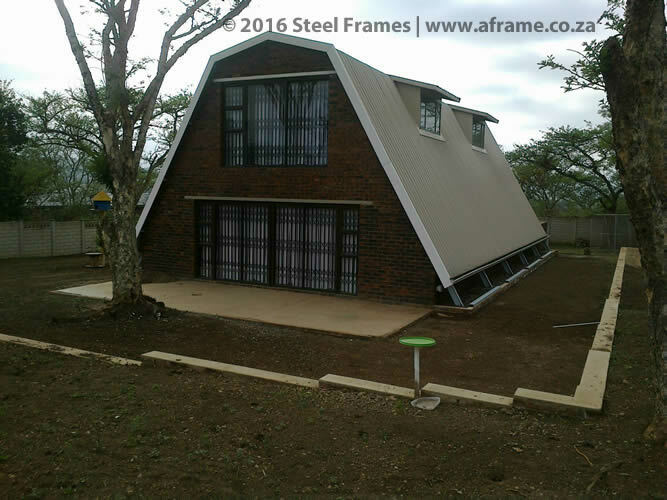 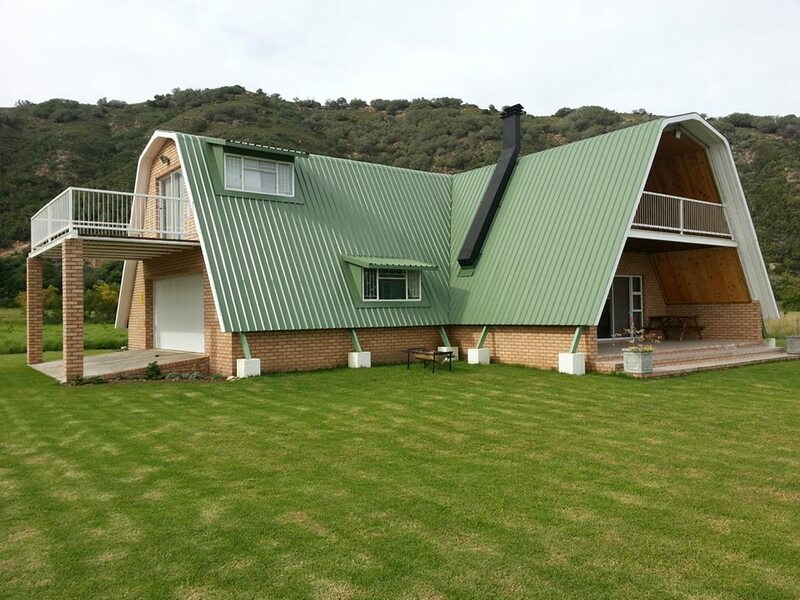 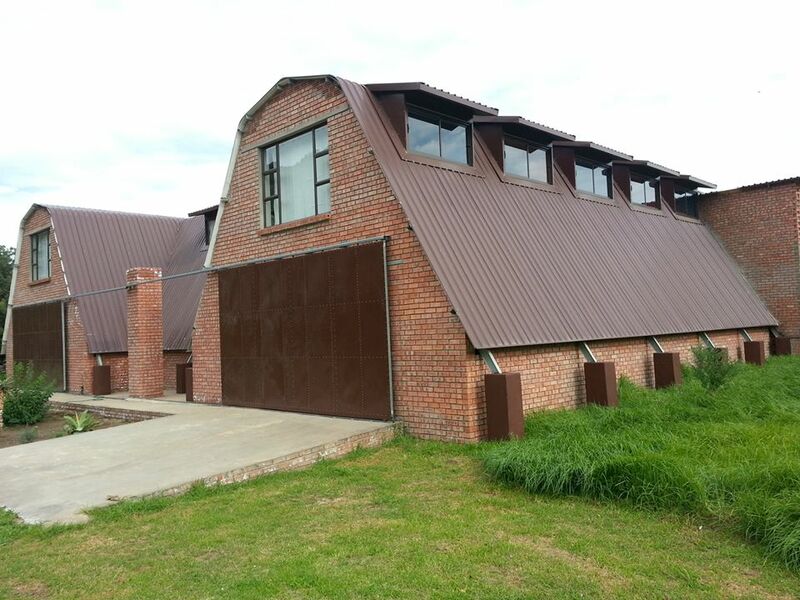 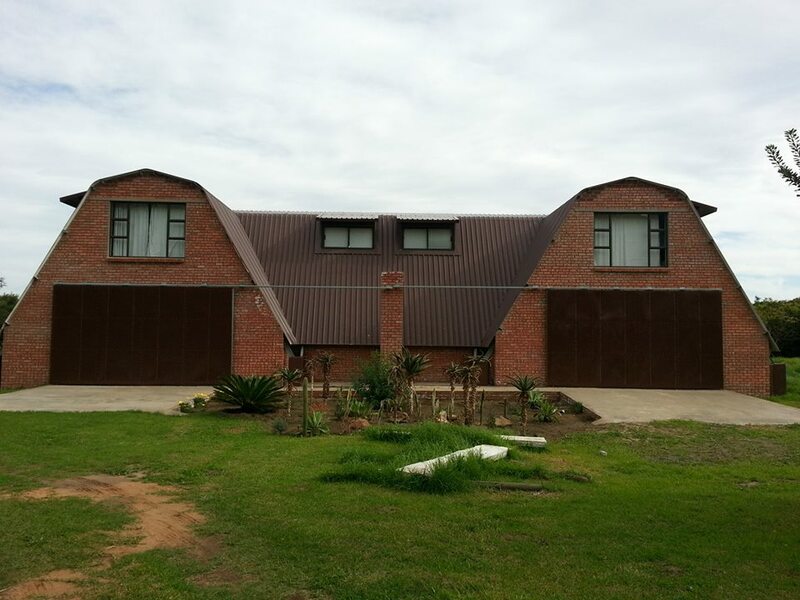 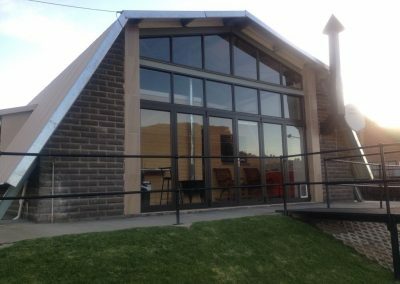 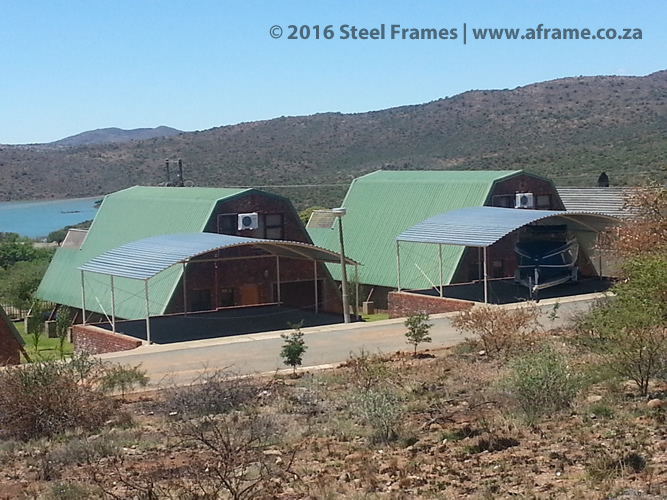 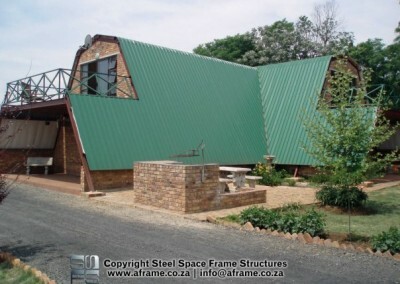 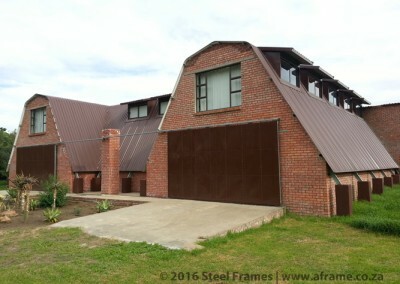 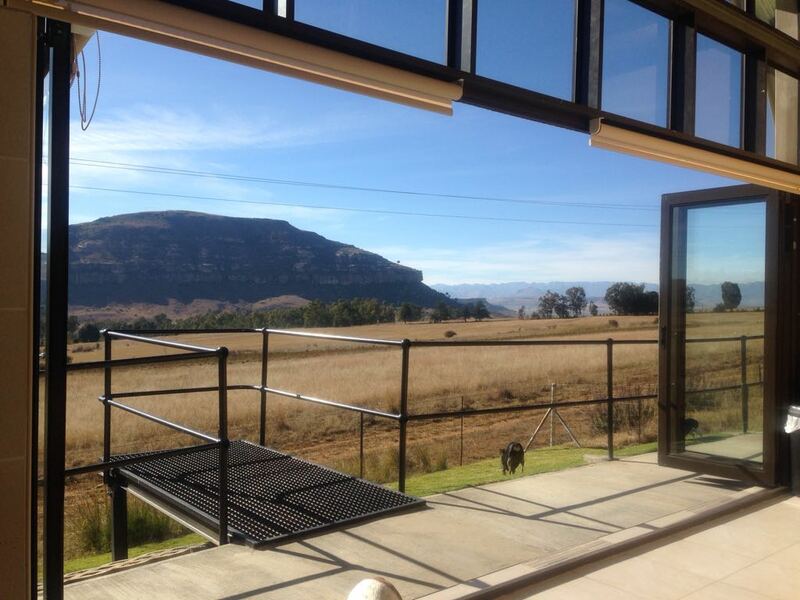 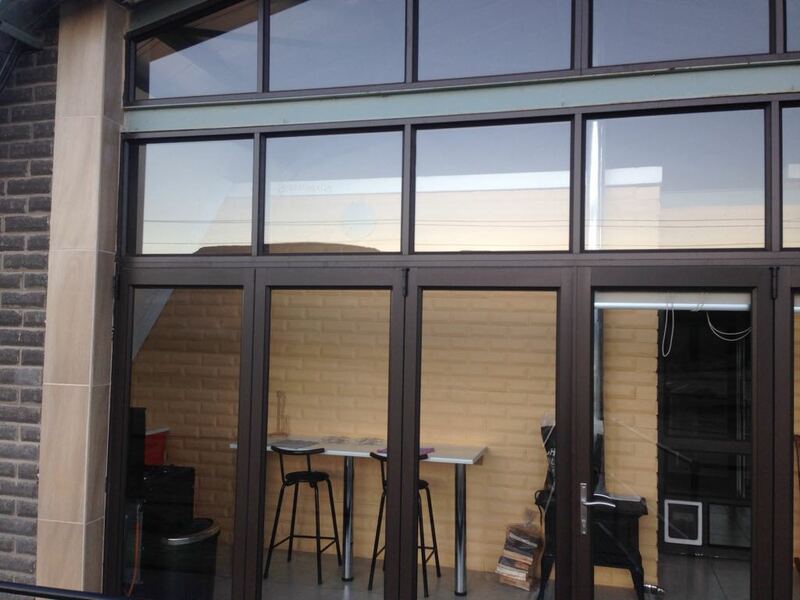 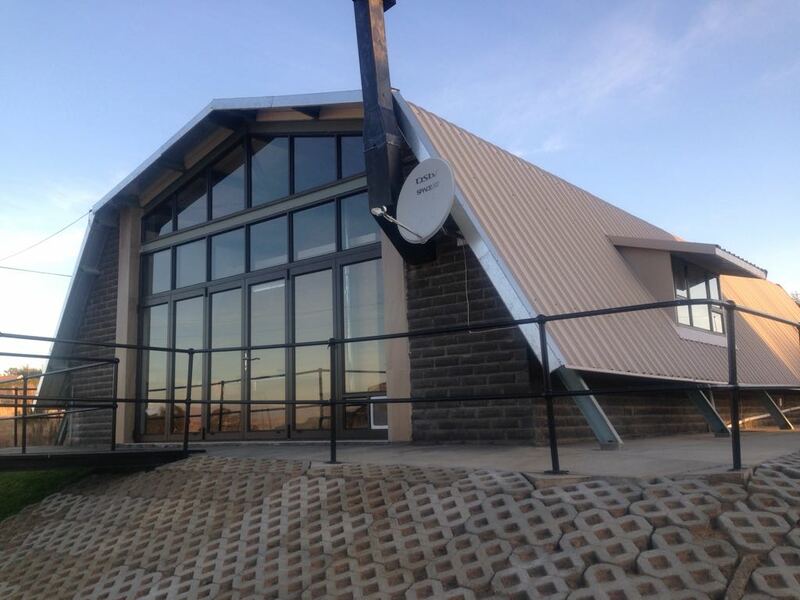 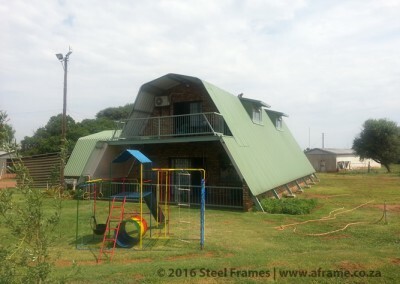 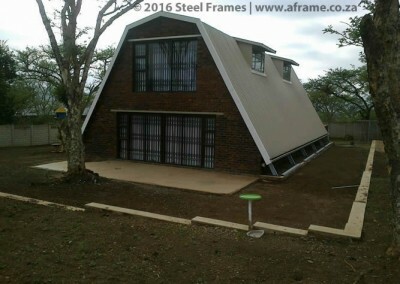 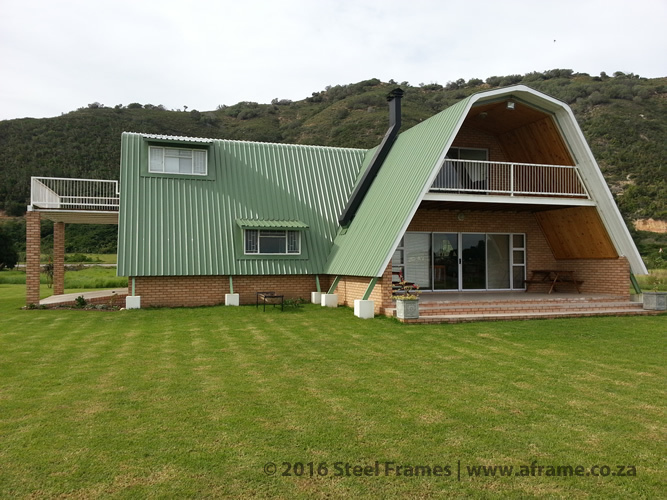 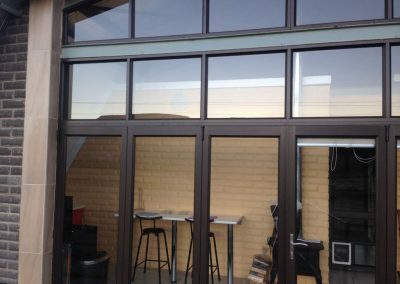 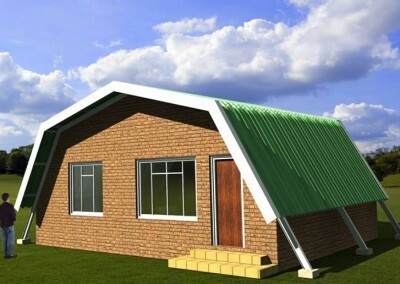 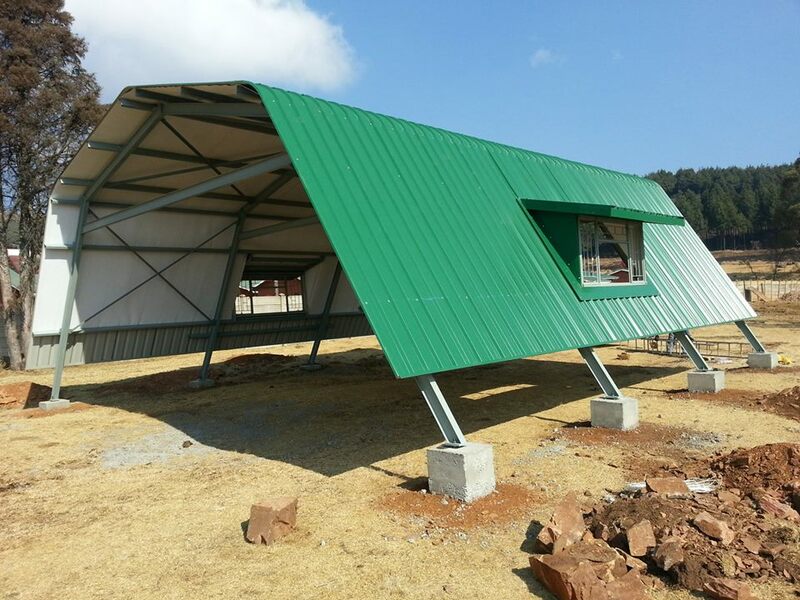 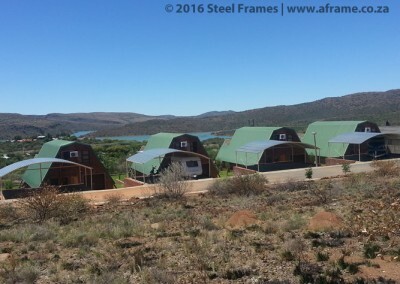 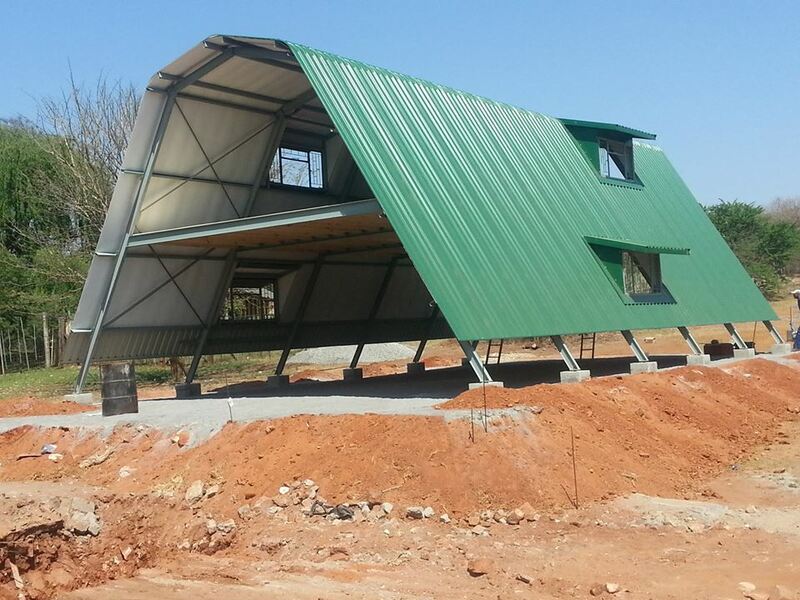 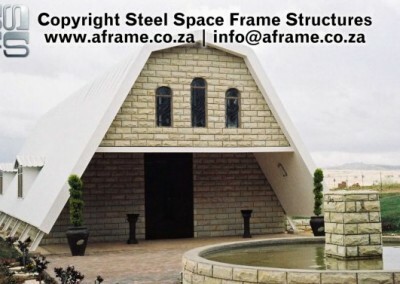 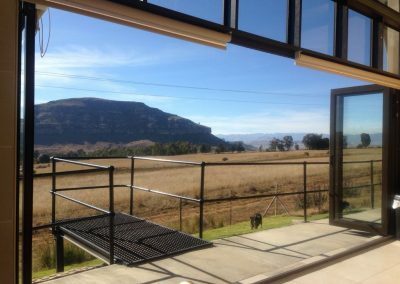 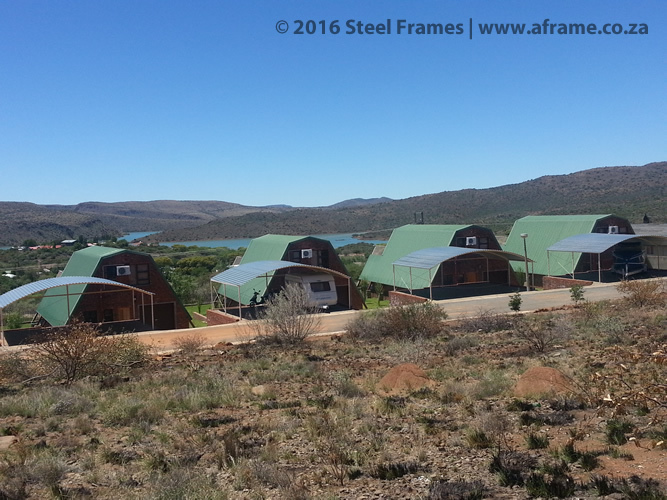 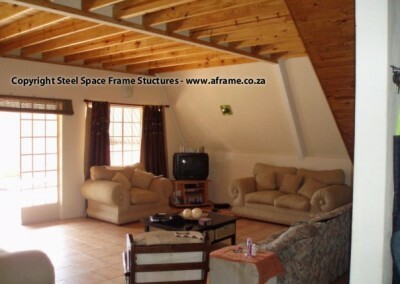 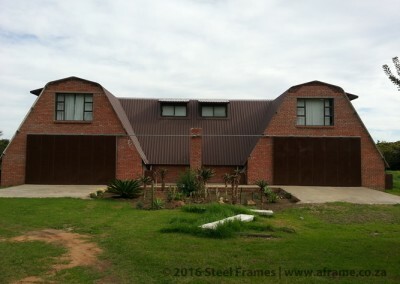 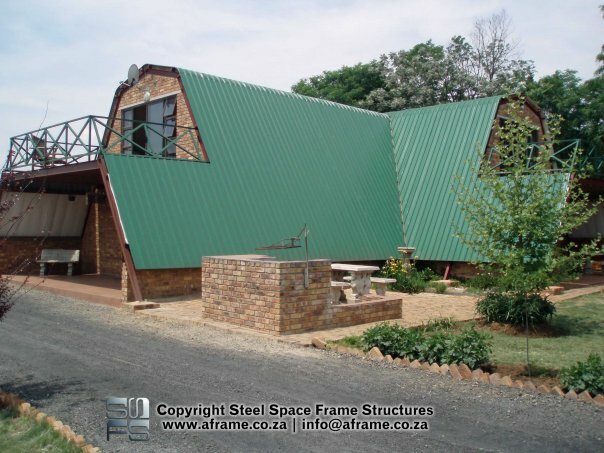 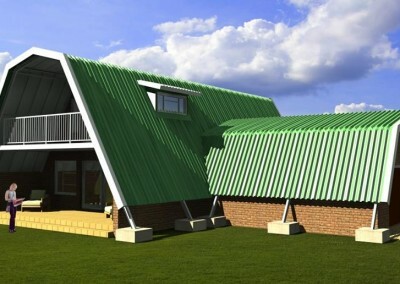 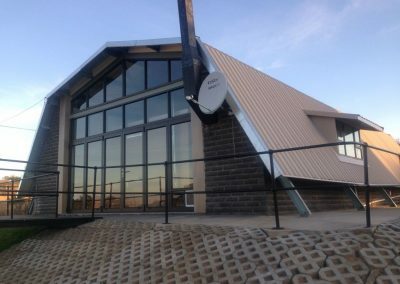 We supply and install the A Frame Steel Structure, dormer windows and upstairs timber floor. 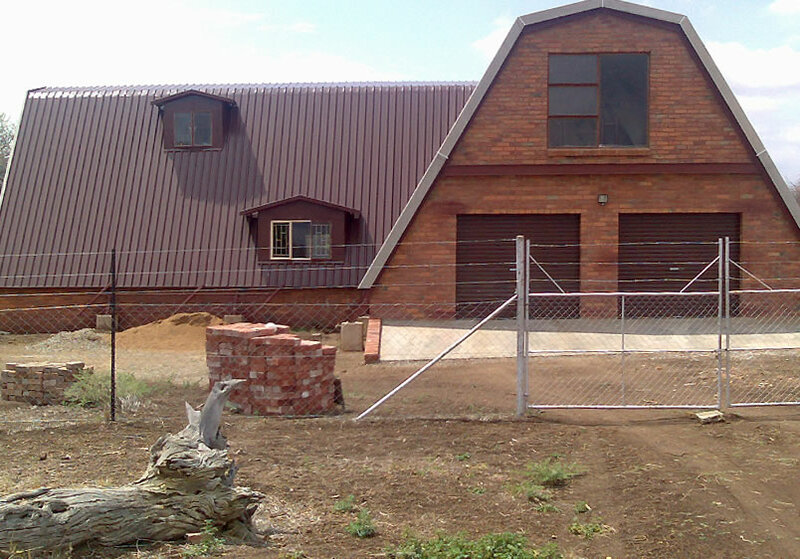 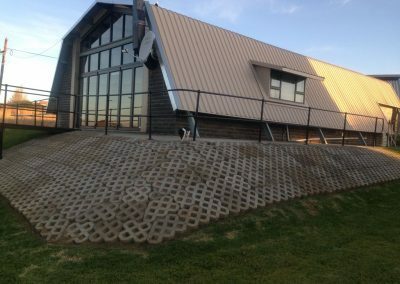 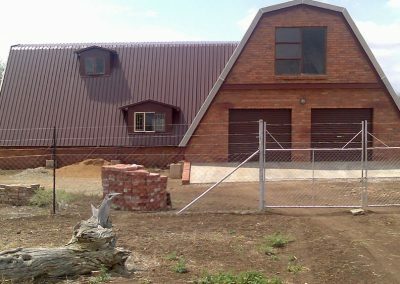 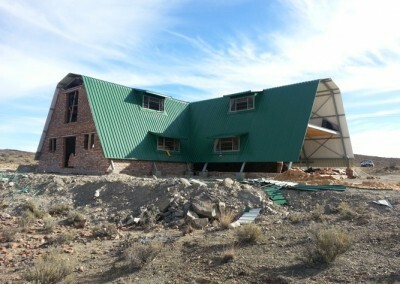 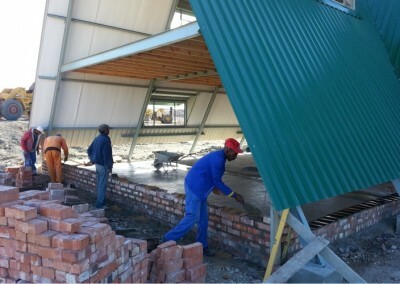 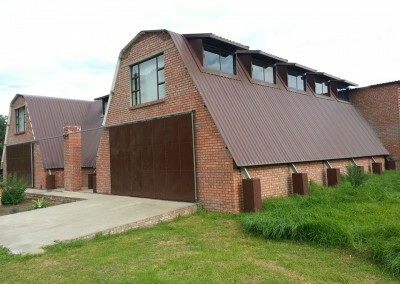 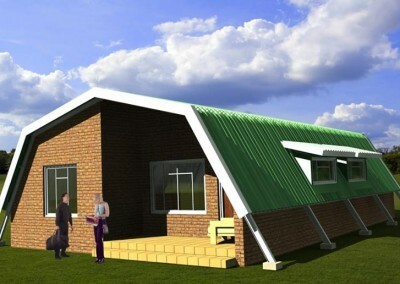 The owner completed the brickwork and finishes. 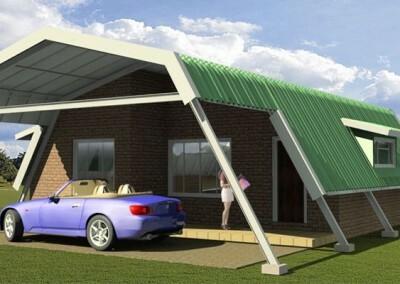 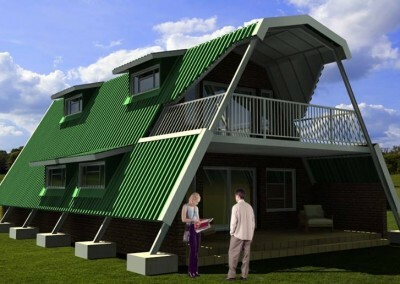 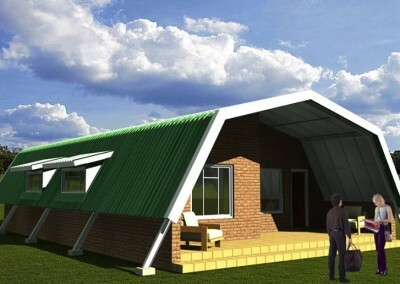 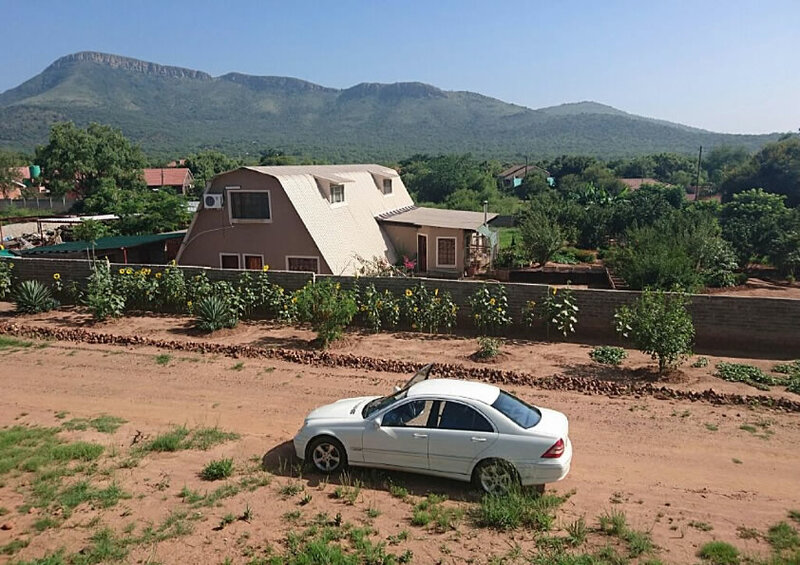 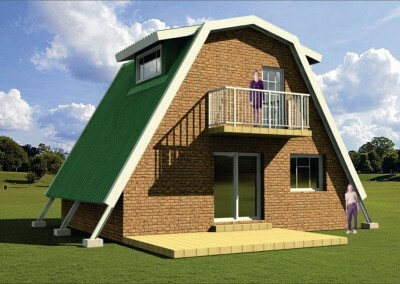 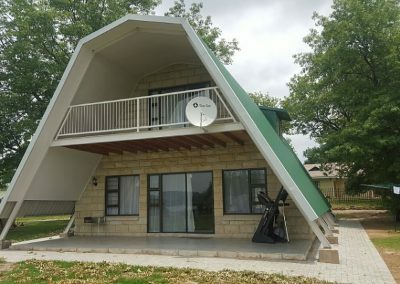 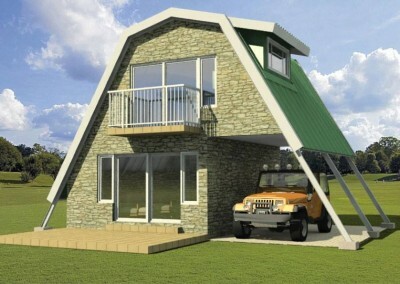 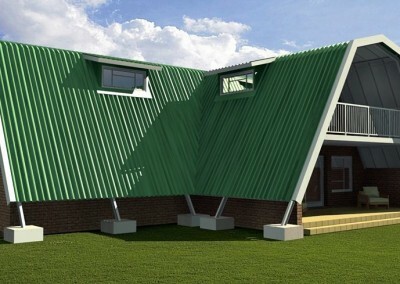 Owner completed 296 square meter house. 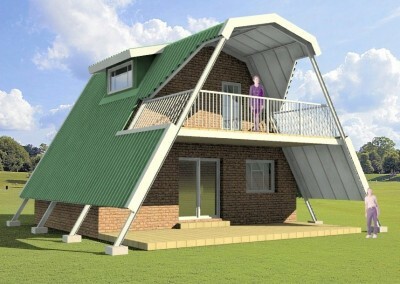 Owner completed 550 square meter house.